Is your organization ready to step into its Full Potential? 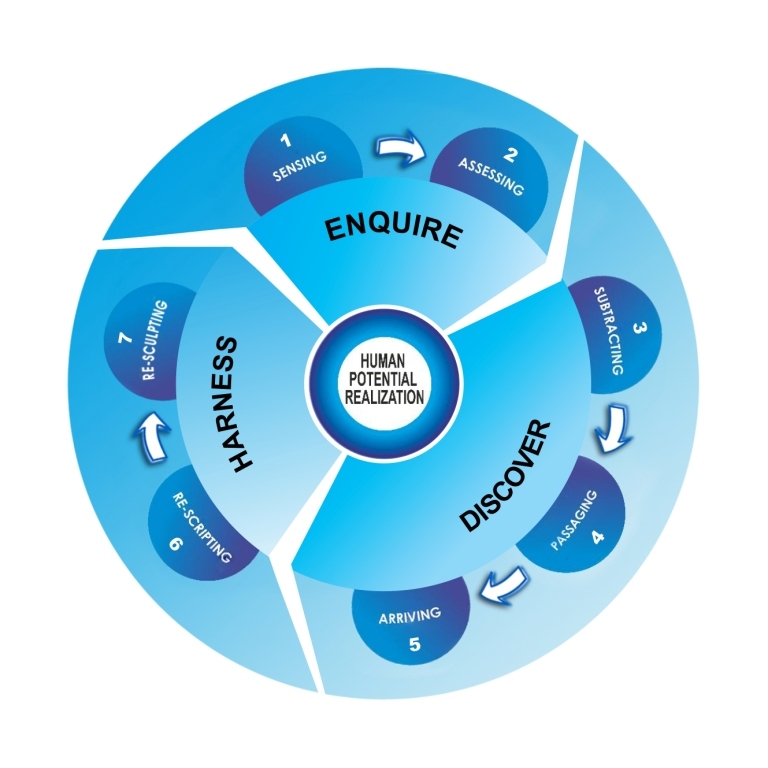 We can support you in this process through our 7-step Human Potential Methodology. The journey starts with the ENQUIRE phase, first by Sensing the dilemmas and critical business questions “that is keeping the client up at night”. These are rarely fully articulated and therefore it often requires a deep sensing into the unconscious reality of the client (their fears and vulnerabilities). This is followed by Assessing which helps to "put the facts on the table" and identify the levers that will have the greatest impact on performance. The next phase, DISCOVERY, is about processing and integrating the insights so they can be transformed into actionable next steps, fully owned by the organization. During these 'Discovery' workshops the client is invited to look deeply into the current beliefs and assumptions that drive their business decisions today and make very deliberate choices on who they want to BE going forward. This typically involves “Subtracting” (the process of understanding the disconnects – or the shortfalls – along the various states and dimensions of the HUMAN POTENTIAL Assessment Model), “Passaging” (releasing control of the familiar processes used to arrive at solutions) and “Arrival” (seeing opportunities in uncertainties and allowing new possibilities to reveal themselves).